Eugene, Ore. — Seven artists from all over the world are in Eugene to paint murals around the city. The plan is to finish 20 murals by the 2021 IAAF world championships. The artists continued their work Sunday around the city to create a unique piece of artwork. Some artists will be creating multiple murals, depending on the size. 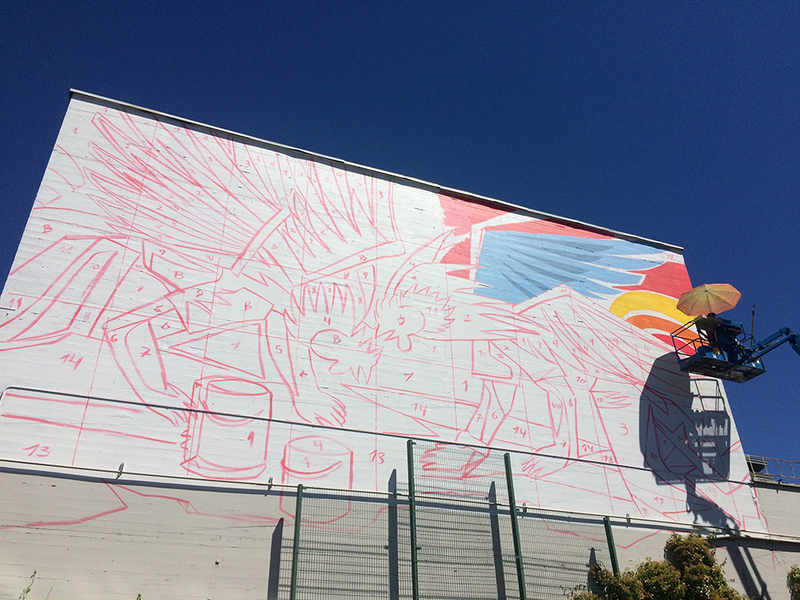 Franco Fasoli, an artist from Argentina, is creating one mural on the south side of the McDonald Theatre. He says his vision for the piece was inspired by multiple places around the world and hopes to use this experience for future paintings.